How shall I put it ... the meeting of human and ant, two societies get to know each other with the help of a mad scientist and his family, a weird engineer and some other people. I'm generally not a huge fan of reading about an animal society because so far no author I've read managed to give such a society characteristics which are decidedly different from humans. Werber as well talks about it a lot but in my opinion fails to do so. The second book in turn bares traces of Frank Herbert's (of Dune-fame) "Hellstrom's Hive". The 1973 novel deals with a group of people adapting their lives to those of social insects, much like the group of people trapped in the basement under an ant hill in Werber's "Le Jour des Fourmis". WHat makes Herbert's work a likely influence is the fact that it won the Prix Tour-Apollo Award for best science fiction novel published in French in 1978. Now the last book, "La Révolution des Fourmis" reads a bit like a stack of youth fantasy, dealing with a teenage girl who uses the mad scientist's "encyclopedia" to start a musical revolution. Maybe he is into Pink Floyd and the whole hippie-spiel, I don't know. What makes the third book extremely difficult to take serious is the fact that it's so dated. It's almost pre-internet and that's very distracting. 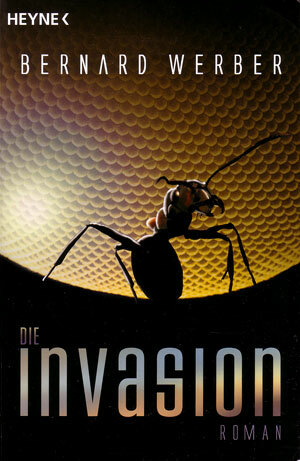 Having read the german issue, published in 2010, I had to check the original publication date: 1996. Ok, then. WHo would have thought what the internet world would be like ... Still. Other authors managed to deal with the subject in a more timeless manner. Werber's way of mixing story with hard facts (via the "encyclopedia") is promising but 1400 pages of it is just too much for me. Especially if the story is not too gripping. A German newspaper called him a "Stephen Kind with biological expertise". Um, ja. Maybe. In my opinion, Werber simply fails to develop preexisting ideas any further. Therefore: No surprises.